As I’ve sure you have seen on the news, there are some pretty spectacular fires going on in the West. 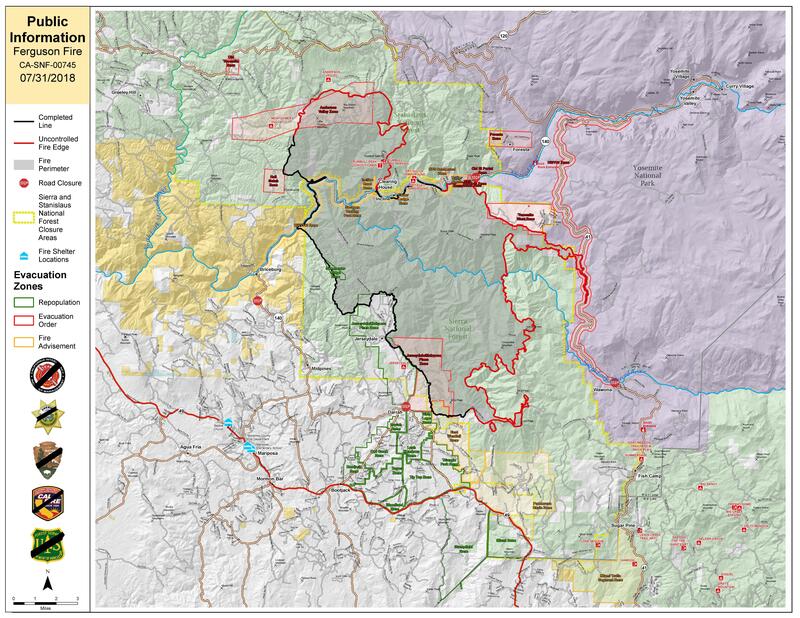 Another way to gauge the scale of a wildfire is to see how many resources are involved in fighting the fire. 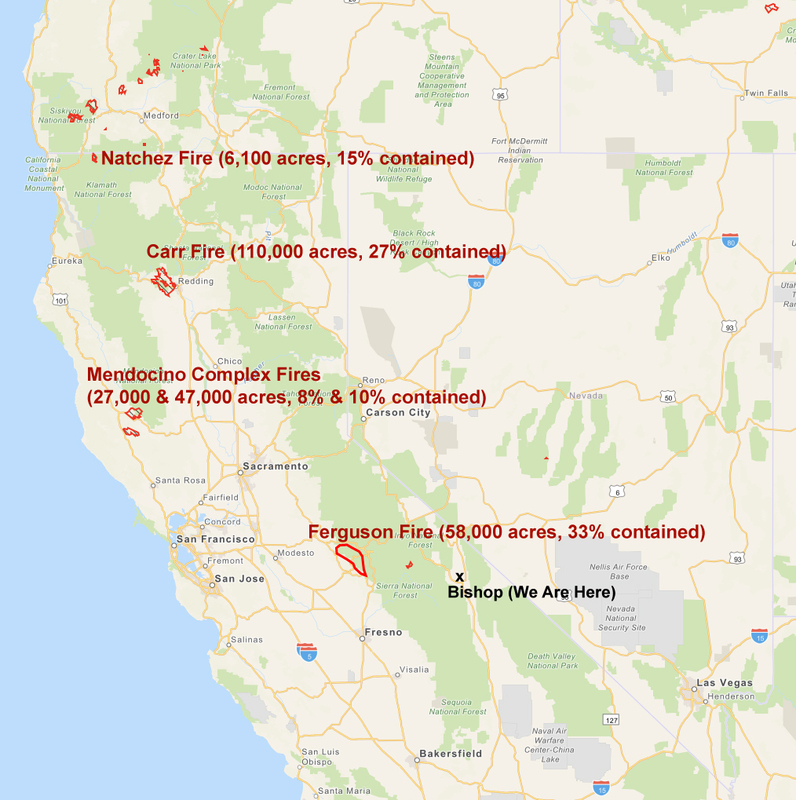 For example, for the Ferguson fire that equates to 3,638 personnel which include 219 fire engines, 46 water tenders, 14 helicopters, 93 crews, 5 masticators and 72 bulldozers. Though we probably won’t be affected by the fires themselves, the smoke from the fires is another story. It reminds me of our trip through Montana and Utah last year (Note to Self: Avoid the West During Fire Season). Luckily Bishop has been spared from thick smoke, but that could change in the next few days . . .
Wisconsin winters are looking better and better. As a third generation native Californian living in Michigan, I am watching the fires with much interest. Besides the fires and everything else going on in CA, I know that I will never be moving back. How are you adjusting to MI winters? Yes, after experiencing western fires for the 2nd year, Jan & I have ruled out large swaths of the country as future home sites. BTW, typically an RV is the perfect escape vehicle.